Despite the wide implementation of dysphagia therapies, it is unclear whether these therapies are successfully communicated beyond the inpatient setting. To examine the rate of dysphagia recommendation omissions in hospital discharge summaries for high-risk sub-acute care (i.e., skilled nursing facility, rehabilitation, long-term care) populations. All stroke and hip fracture patients billed for inpatient dysphagia evaluations by speech-language pathologists (SLPs) and discharged to sub-acute care in 2003-2005 from a single large academic medical center (N=187). 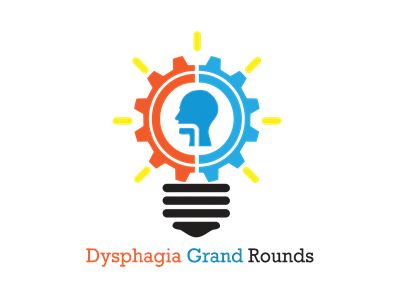 Dysphagia recommendations from final SLP hospital notes and from hospital (physician) discharge summaries were abstracted, coded, and compared for each patient. Recommendation categories included: dietary (food and liquid), postural/compensatory techniques (e.g., chin-tuck), rehabilitation (e.g., exercise), meal pacing (e.g., small bites), medication delivery (e.g., crush pills), and provider/supervision (e.g., 1-to-1 assist). 45% of discharge summaries omitted all SLP dysphagia recommendations. 47%(88/186) of patients with SLP dietary recommendations, 82%(93/114) with postural, 100%(16/16) with rehabilitation, 90%(69/77) with meal pacing, 95%(21/22) with medication, and 79%(96/122) with provider/supervision recommendations had these recommendations completely omitted from their discharge summaries. Discharge summaries omitted all categories of SLP recommendations at notably high rates. Improved post-hospital communication strategies are needed for discharges to sub-acute care. In this webinar, Dr. Ianessa Humbert reviews a retrospective cohort study, investigating the rate of dysphagia recommendation omissions in hospital discharge summaries for high-risk subacute care patients. 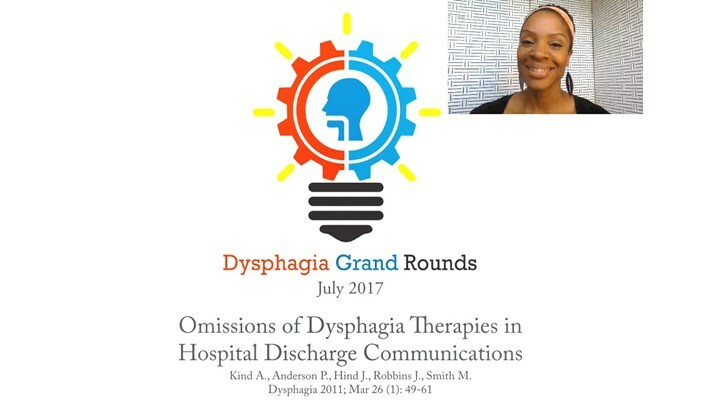 SLP Rinki Varindani Desai discusses the clinical implications of this study at the end; discussing potential solutions to improve dysphagia documentation and communication hand-off to improve patient care.